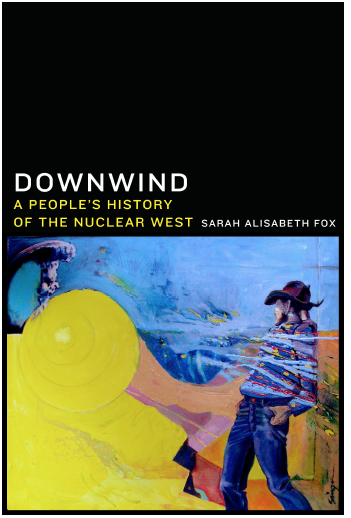 CEDAR CITY — On Oct. 27, historian Sarah Fox, author of “Downwind: A People’s History of the Nuclear West,” will speak at Southern Utah University about her research on these subjects. Her talk begins at 7 p.m. Prior to her presentation, Fox will be available from 1-4 p.m. at the Gerald R. Sherratt Library in the Leavitt Room to interview local residents who would like to share their story or that of a family member who may have been affected by atomic bomb testing. Digital recordings of these interviews will be made available to the public at the Downwinders of Utah archive at University of Utah as well as the SUU archive, adding important voices from the community to the historical record of this era. 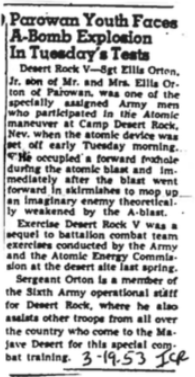 Downwinders are the people who lived near atomic bomb tests and later developed cancer and other health problems. If you are interested in having your story recorded, please contact the author by email to set up an interview time for Oct. 27. Sarah Fox is a writer, folk historian and mother based in Seattle. She holds a master’s degree in history from Utah State University. “Downwind: A People’s History of the Nuclear West” explores citizen stories of the impact of the uranium industry and the Nevada Nuclear Test site, Fox said. Learn more about Fox and her book online.